DR Power Grader - For levellng / grading gravel driveways or car parks, sand areas, soil preperation. 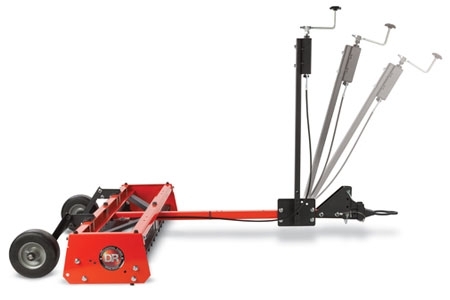 A compact yet effective grader for levelling or loosening the ground. The DR 48" wide grader is designed for loosening material for redistribution to create a smooth finish. 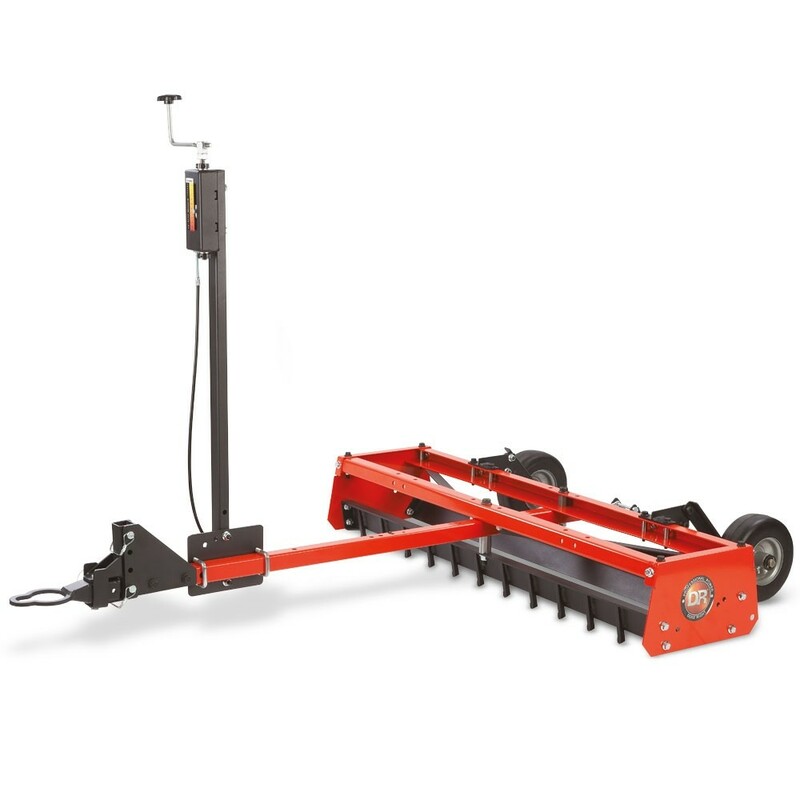 The most common use of the grader is to eliminate pot holes on gravel driveways but can also be used in sandy equestrian areas, gravel car parks or even for preparing the ground for seeding a new lawn. The EZ-Dial enables the grading depth to be easily and accurately set from the driver’s seat whilst the built in weight rack is designed to seat a pair of standard cinder blocks for more aggressive excavation. The carbide scarifying teeth are extremely durable and are made of the same material used on well drilling bits for a long working life. 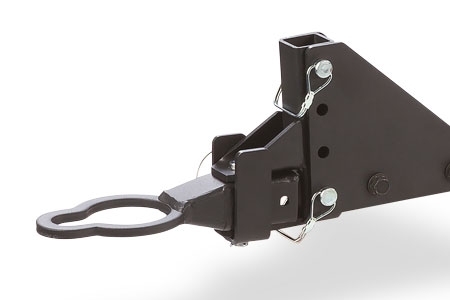 The dual hitch enables the grader to be towed using a pin or ball hitch fitted to the back of your ATV, UTV or garden tractor. The EZ-Dial can be positioned to accommodate the towing vehicle and for the comfort of the user. 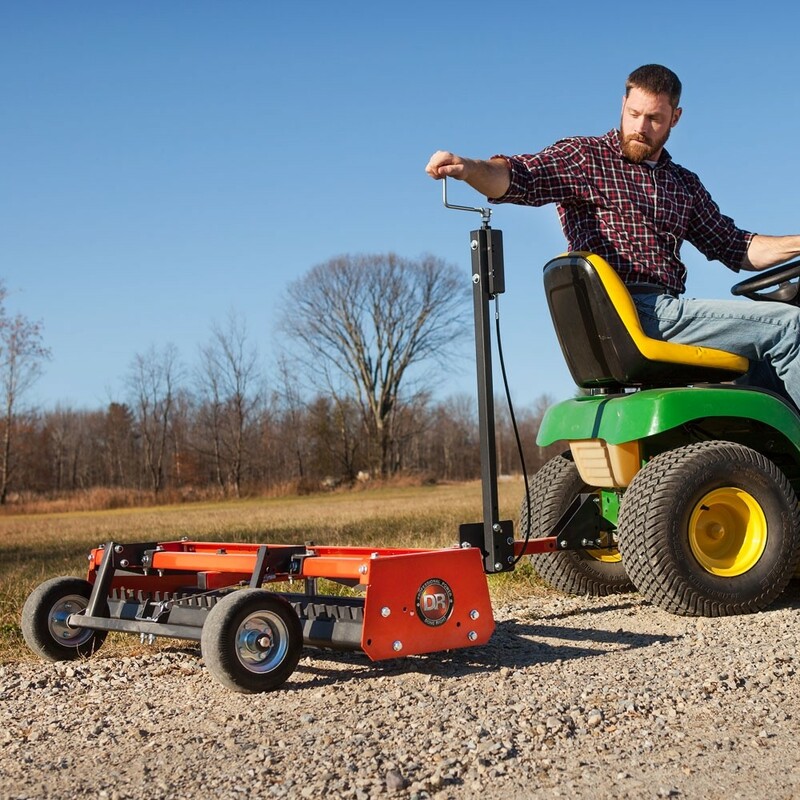 The 48" Power Grader includes both a ball hitch and a pin hitch enabling it to be towed by a wide variety of vehicles. 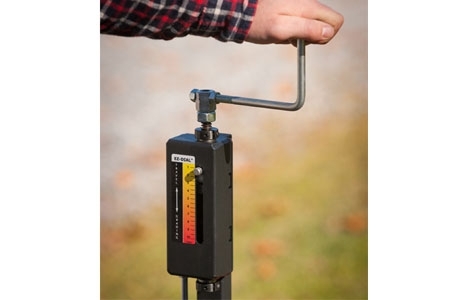 The simple hand crank allows you to adjust the your grading depth from the drivers seat. Lower the dial to grade aggressivley or raise it all the way up to create ground clearance for transporting. The scarifying teeth cut into the road surface to loosen material for reditribution. 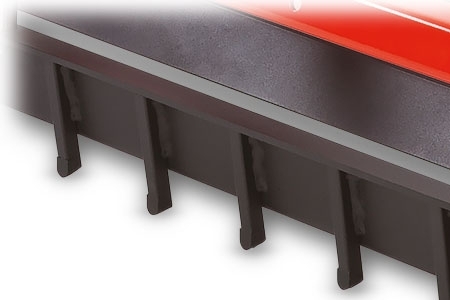 These Carbide-Tipped teeth are extremeley durable - the same material is used on well drilling bits!